Favourite for gold, the winner of every major title the sport has to offer, Ding Ning donned the Women’s Singles crown at the Seamaster 2018 ITTF World Tour Asarel Bulgaria Open in Panagyurishte on Sunday 19th August. In an all-Chinese final, the no.6 seed, she beat Wang Yidi, a player whose journey had started five days earlier in the qualification tournament. Ding Ning prevailed in a hard fought seven games duel (11-7, 10-12, 8-11, 11-8, 4-11, 11-2), one in which her 21 year old opponent, proved a most worthy adversary. The smooth forehand top spin stroke quickly in motion, spin as opposed to speed; in addition to being safe and secure from the backhand, Ding Ning established a 5-3 and 7-4 lead in the opening game. It was an advantage she was not to relinquish, although attacking wide to the Ding Ning forehand, Wang Yidi did gain a measure of success. 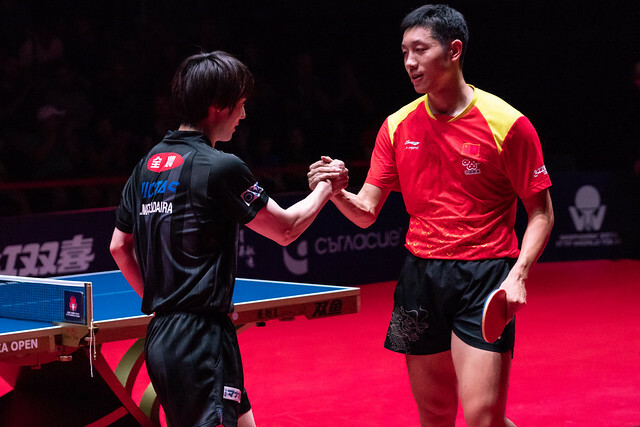 Determined to stay close to the table, attacking quickly from the backhand and, as in the previous game gaining success wide to the Ding Ning forehand, Wang Yidi levelled matters. Success coming after Ding Ning, resorting to her squat trademark service technique had saved two game points when trailing 8-10. Boosted by the success, Wang Yidi went ahead 5-1 in the third game; Ding Ning winning rallies from seemingly hopeless positions, the squat service again very much in evidence, she levelled at 7-all but never gained a lead. At 10-8 Wang Yidi held two game points; this time she converted at the first attempt. Immediately Ding Ning gained parity but not without some moments of trepidation in the fourth game; at 5-all it was all-square, Ding Ning then asserted her authority. She executed her forehand top spin stroke at the earliest opportunity, she won the next five points as she forced errors from the racket of Wang Yidi. At 10-5 Ding Ning produced a clean ace service, one of which Serena Williams would have been proud, just one problem, the umpire called fault. Somewhat unnerved, Ding Ning lost the next two points before regaining composure to secure the game at her third attempt. Parity, in the fifth game Ding Ning asserted her authority again, she went ahead 7-2, at 10-4 held six game points, two were saved, not a third. The momentum with Ding Ning but in the sixth game it was Wang Yidi, very compact, short quick efficient strokes in true Asian style, who seized the initiative; she established a 5-1 and 7-2 lead, eventually securing the game with the loss of just two further points. A decisive seventh game beckoned. It was at this stage the strength of Ding Ning came to the fore, the mental strength, you just had to look at the expression on her face; it was one of sheer determination. She won the first three points of the deciding game, Wang Yidi called “Time Out” but at the change of ends Ding Ning led 5-1. Ding Ning was now in total control, she surrendered just one more point. The title had been secured. 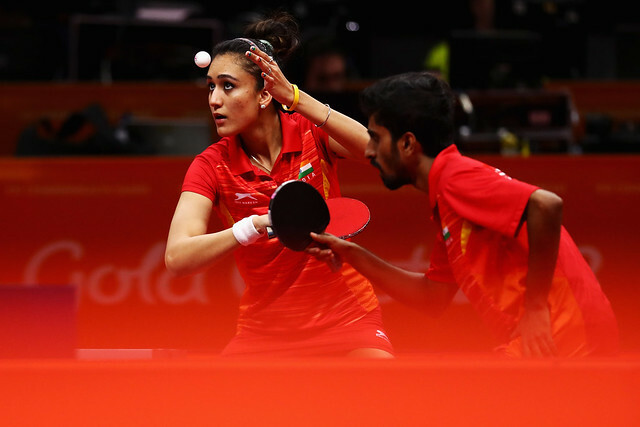 It was the 14th ITTF World Tour Women’s Singles title of her career but the first for some 15th months, her most recent success had been last May in Chengdu.